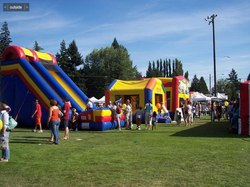 Party rentals in Lakewood WA from your friends at Carnival Time has never been easier. 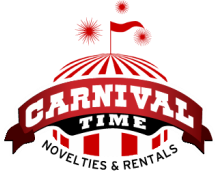 Located just outside city limits of Lakewood WA, Carnival Time is your go to resource for getting your party started right and right on time. We bring the party to your door and take it all down when you're done so it's hassle free. You can even get prizes as well for your carnival games which many of our competitors don't provide. Give us a call at 253-471-1040 and we can get the process started. or click here to contact us. We're confident you'll find what you're looking for, with our party inflatables, games, tents and toys, matched with our outstanding customer service your next party with Carnival Time will be worry and hassle free! Below check out some of our great deals to help get your party going, right away.